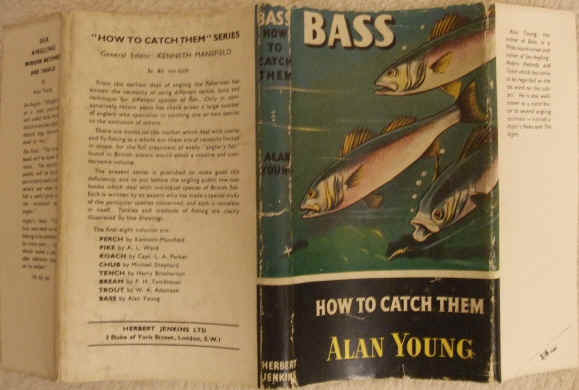 First UK edition, first print hardback of BASS How to Catch Them, by Alan Young and published by Herbert Jenkins Limited, London in 1955. The book is in very good condition (Clean Pale blue cloth boards with dark blue lettering on spine) with only slight wear to the dust jacket (some rubbing to the edges and small closed tears to the corners). Internally, the pages are clean and tight and there are no tears and no inscriptions. 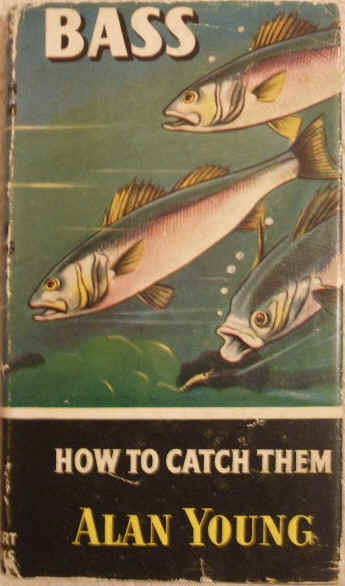 A book in the 'How to Catch Them' series by a West-countryman and author of Sea-Angling; Modern Methods and Tackle, and also well-known as a contributor to several angling journals. BASS: How to Catch Them describes the various TACKLES - Rods, Reels, Lines, Hooks, Paternoster and Ledger Tackle, Floats, Lures, Landing Nets and Gaffs - BAITS and METHODS - Paternoster and Ledger Fishing, Drift lining, Float Fishing and Spinning - by which bass may be caught. The detailed Bass distribution in British waters is also discussed in TIME AND PLACE Chapter and followed by SCHOOL BASS and BASS COOKERY and INDEX. Small format. 96 pages. Illustrated with several simple line drawings.